Imagine if you will … an epic government failure. Chronic mismanagement and cost over-runs. Incomplete software coding, timely political donations and undelivered promises. And zero accountability. No, really. You will actually have to imagine the outrage. That’s because The Great American Outrage Machine™ has no interest in generating a scandal around the ultimate example of government failure: the F-35 fighter jet. Like the comically bad roll-out of the Affordable Care Act’s website, the long-delayed and often-rejiggered F-35 program is a costly disaster rife with technological snafus, software problems and repeated contractor incompetence. And although increasingly well-compensated contractors will “surge” over the next few weeks to remediate the epic fail of a healthcare website that has ballooned from an estimated cost of $94 million to over $400 million, it pales in comparison to an “aerospace megaproject” that is seven years behind schedule and 70% over the initial budget estimate of $233 billion—all to deliver 409 fewer planes than originally planned. Despite these problems, the F-35 program soldiered on through the Congressional budget process, thus far emerging both “unscathed” by budget battles and immune to the “indiscriminate” cuts imposed by The Sequester. Perhaps not coincidentally, the IG’s report was completed at the end of 2012, but was not released until September 30th of this year—months after the House approved $600 billion of Pentagon spending and weeks after the Senate Armed Service Committee submitted its slightly less fruitful version of the defense spending bill. And Lockheed used the long interregnum between the completion and release of the IG’s report to simply dismiss its claims as “out-of-date” and functionally irrelevant. 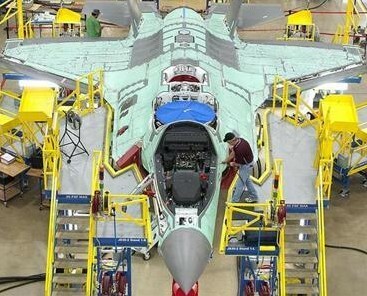 It is true that Lockheed has trimmed the per plane cost from, according to the Project on Government Oversight, a peak of $161 million per plane to $133 million in 2012 and, if Lockheed is to be believed, downward over the next few years to somewhere between $114 million and $156 million per plane, depending on model specifications, engine options, retrofits and upgrades. Looking for software coding issues? Lockheed’s got ’em. The F-35 will not be “fully-functional” until Lockheed’s rapidly expanding pool of software engineers finally delivers 8.6 million lines of code. Also, proper maintenance of the planes is delayed until another 10 million lines of code are written and uploaded to maintenance computers. How about design flaws? There have been many, but none sums up the problems more than the case of the $500,000 helmet that had to be developed to compensate for the massive, dangerous blind-spots created by a visually restrictive cockpit design. What about incompetence? The stealthy design of the F-35 may have been sold as state-of-the-art, but continual redesigns have literally slowed down the plane. The special radar-evading coating was changed in mid-production, but the new coating bubbles and peels at high speeds, meaning the planes are restricted from flying at or above supersonic speeds until Lockheed can remediate the problem. But the real takeaway of Ciralsky’s story is something called Total System Performance Responsibility. It refers to a type of “Performance Based Logistics” (PBL) that “revolutionized” the way the Pentagon issued contracts by putting more “responsibility” (a.k.a. “power”) in the hands of the contractor. This “innovative thinking” in the Pentagon’s contracting process promised to free-up the creative power of the private sector by removing the oppressive power of government oversight. Sure, it sounds like something Ayn Rand wrote in a love letter to Milton Friedman. But this deadly serious idea took flight at the start of Bush the Younger’s administration and it portended a decade of defense contractors gone wild—particularly in Iraq and Afghanistan. Which brings the story back around to Healthcare.gov. Like the open-ended Total System Performance Responsibility contract system used by the Pentagon, various agencies tasked with launching the Affordable Care Act sometimes awarded Indefinite Delivery/Indefinite Quantity (IDIQ) contracts—as is the case with the now infamous deal GCI Federal received to “build” the website. And yes, an IDIQ contract is exactly like it sounds—it is a broadly-defined trough with few parameters and little oversight, kinda like your plate during the “Oceans of Shrimp” promotion at Golden Corral. Sadly, IDIQ contracts are not unusual. Nor is the practice of contractors giving well-timed political donations. The Beltway is teeming with companies drawn to the recession-proof feeding frenzy chummed by members of Congress and various political appointees. Fifty-five companies got a piece of the Affordable Care Act. But only a select few hook “free from oversight” mega-deals like the one secured by Lockheed Martin. Unsurprisingly, some of the winners of the ACA rollout are well-practiced anglers of tax dollars. Yup, the Sunlight Foundation found that defense giants like Booz Allen Hamilton ($2.6m), Northrop Grumman ($1.66m) and Science Applications International Corp. ($1.77m) couldn’t resist getting “a taste” of the ACA. The big winner was General Dynamics’ subsidiary Vangent ($28m), which they acquired just in time to belly up to the ACA trough. Meanwhile, the Pentagon served up $6.3 billion worth of contracts during the Obamacare-inspired shutdown. So, the corporate feasting continued even as taxpayers were force-fed a bogus debate over a “government takeover of healthcare,” which is little more than a legally-binding promise under the ACA to enshrine in perpetuity the profitable health insurance industry and its massive, private bureaucracies. An actual government takeover would’ve replaced health insurance with healthcare. But that didn’t happen. And the punchline of this grand budgetary joke? Lockheed has prospered beyond its expectations. They just beat estimates for the 3rd quarter of this year! And General Dynamics just scored a $3 billion missile deal! When it comes to securing their profitable contracts, government failure is not an option. Imagine if you will…an epic government failure.